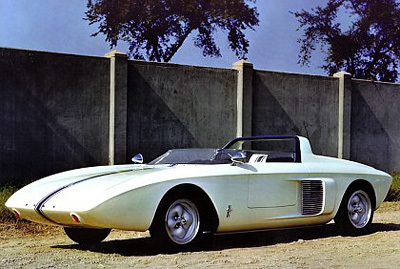 The Ford Mustang I was a compact, lightweight roadster which the company debuted at the 1962 US Grand Prix held at Watkins Glen. 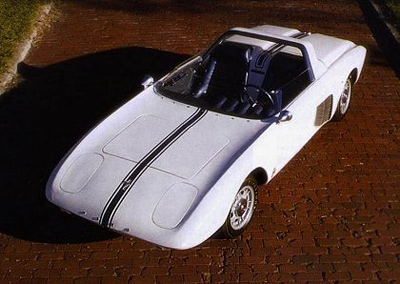 The Mustang I prototype is plainly nothing like the production Mustang which was revealed just a few short years later. About the only things the two cars have in common are the lateral intakes just forward of the rear wheels - much smaller on the production car, the galloping horse 'Mustang' badge, and the name. 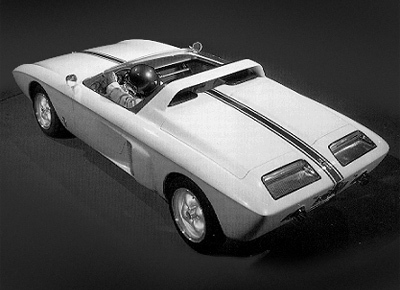 Unlike the steel bodied, front-engined, four-seat production Mustang, the Mustang I concept was a two-seat, aluminium bodied sports car with a mid-mounted engine. The car's styling was inspired by the WWII American fighter aircraft the P51 Mustang - probably where they got the name too! 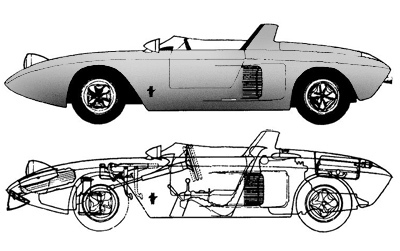 The aerodynamic bodywork was a single piece unit which was riveted onto the underlying space frame chassis. One of the more unusual engineering solutions used on the chassis were the seats. The framework of the seats were actually integral to the body to increase rigidity. The driver could adjust the steering column and pedal assembly to suit their size. The engine itself was also highly original. It was a 1.5 litre V-4 which came in 89 hp and 109 hp flavors. This was mated to a 4 speed manual gearbox which sent the power to the rear wheels. And while 89, or even 109 horsepower isn't much compared to a V8 engine's output, in a lightweight car with a well engineered chassis it was more than adequate. The car was so fast in fact that when it lapped the Watkins Glen circuit it posted lap times only a fraction slower than the F1 cars of the day. Just imagine if this had been the design proposal which got accepted!